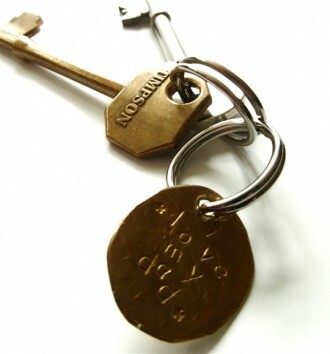 'Love My Dad' Brass keyring. Disc approx.20mm but may vary slightly due to the hand made nature. Categories: Bespoke Wedding Gifts, Gifts, La Man, Little Peeps.